Krone Group is a designer, manufacturer and assembler of plastic and aluminium glass constructions. And mendo is a designer, manufacturer and assembler of Krone Group’s website – a digital construction. The design is functional, user-friendly, and it reflects the main emphases of the corporate image of Krone Group – precision, quality, clarity and accessibility. 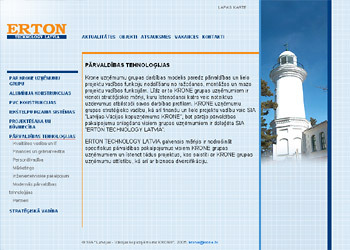 Some of the projects realised by Krone are used as illustrations on the company’s website. 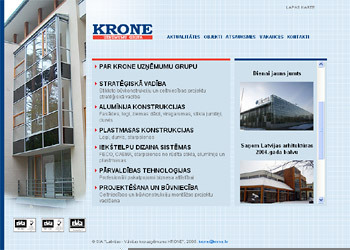 The website contains in-depth information about Krone Group. Design, information, and navigation interact harmoniously and create a powerful weapon in the marketing armoury of the group. It is anticipated that this website will foster further achievements of Krone.